GET YOUR TICKETS EARLY!! This is shaping up to be a great event. We’ve got a lot of artists taking part and we have a great couple of wine experts from Everything Wine who have curated a list of wines that can be sampled at 8 of the tour stops. Our VIP “Wined-Up” is being hosted by SABA Café + Bistro and there will be Charcuterie and live music to enjoy. If you are near enough come down and join us. May 9th. 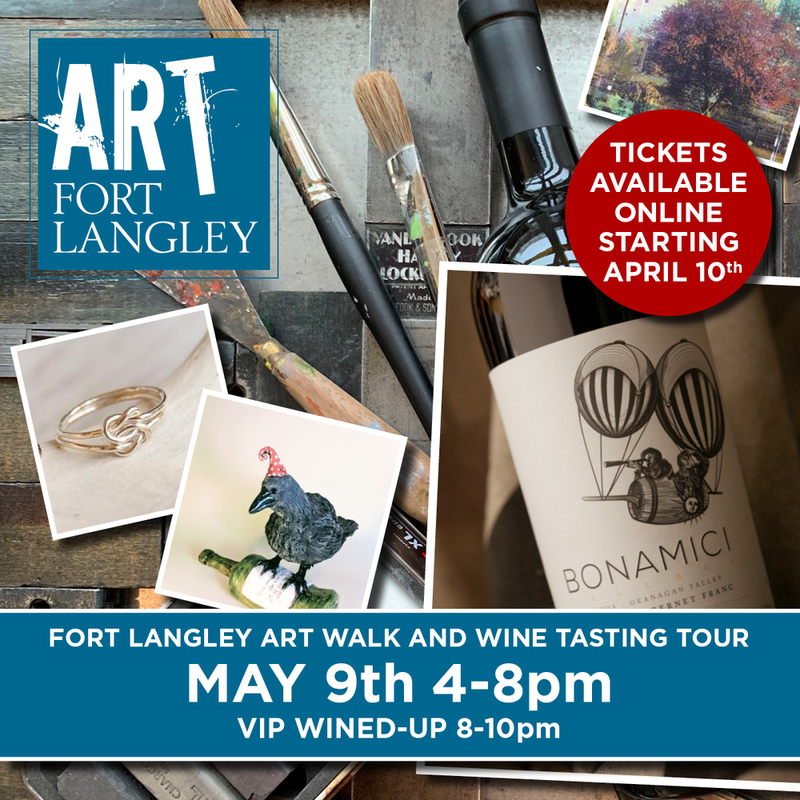 Visit www.artfortlangley.com for more info. Just finished this piece. "Cherry Blossoms" is 24x24 inches and hanging in the gallery now waiting for a new home. Another local piece completed. I love this red building and the view from the observation deck that looks East down the river. This piece is 24 x 48 inches and is available in the gallery now! NOW SOLD! Happy to be taking part in the very first Fort Langley Jazz and Arts Festival on July 28th. Mark your calendar and come down to visit local artists and take in some music. Some new work for the sunny season! The sunshine is bringing people to town again and it's time to get some more work out. The winter provides some quiet time to work but I find I'm more inspired by the sunshine and the springtime weather. Time to get out and get some new images to work with. This latest piece title "Valley Tree" is 36 x 36 inches, mixed media on panel and is now available in the gallery. Drop by and have a look if you are in town. Fort Langley is a great place to visit! Just finished a few new pieces and got them up on the site today. Check them out in the "Hometown" section. Spring is here and we hope to see more people coming by the studio to see what's new. And if you haven't been in before it will be all new to you. While the holidays were busy and quiet all at the same time I did find some time to putter in the studio on some new works. We've also decided to close the gallery on Sundays for a little break while the weather is cold and wet. We'll reopen on Sunday once we see the foot traffic pick up again. Feel free to call and make an appointment to view if you would like. A few new pieces in the gallery. A few new paintings in the gallery this week. Check them out in the Gallery section of the site for more detail. Here's a look at a new piece now available in the gallery. Bedford channel is the waterway that passes by our studio in Fort Langley. This is the view looking East toward the bridge over the channel. We're spending some time in the studio prepping for the holiday season. Thousands of gift tags getting ready for sale. Stop by the gallery to pick yours up.